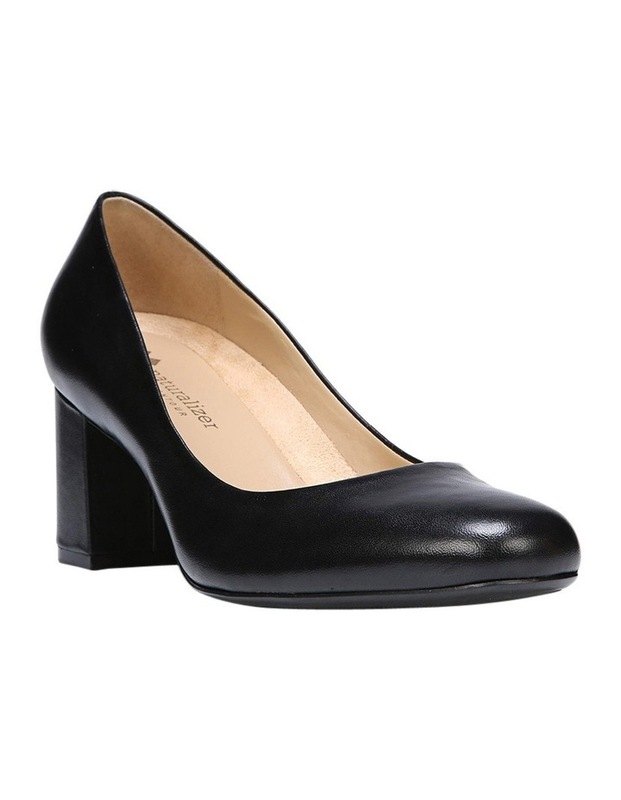 Naturalizer Whitney Black Pump. 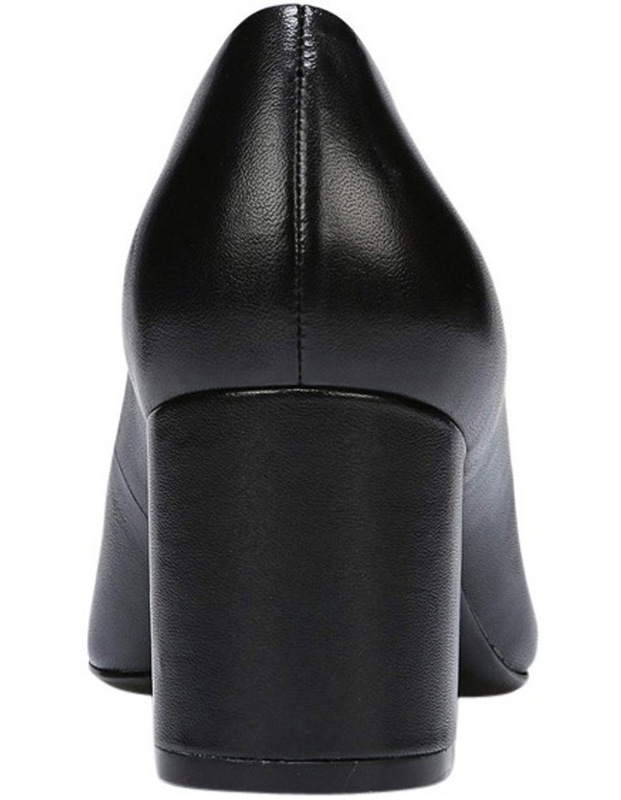 Easy elegance. 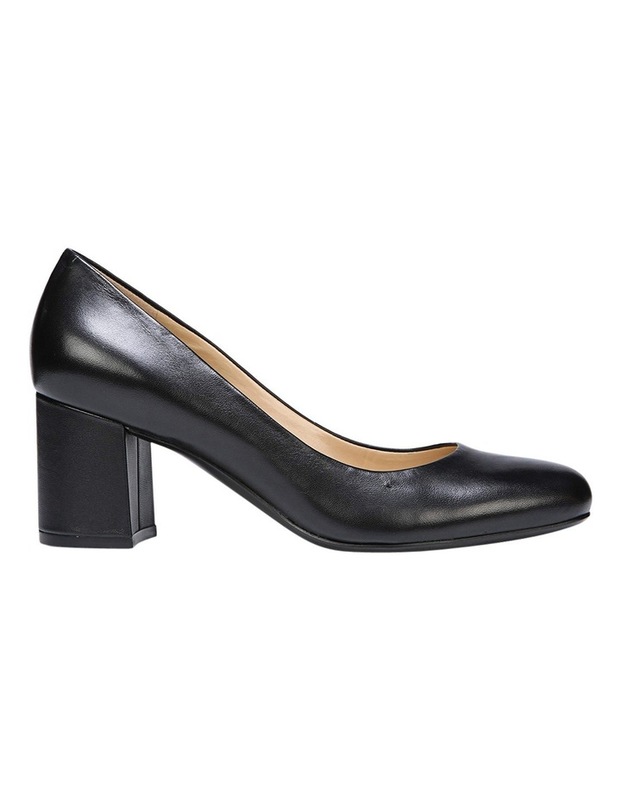 The block heel pump from our Modern Icon collection is an undeniable closet essential. 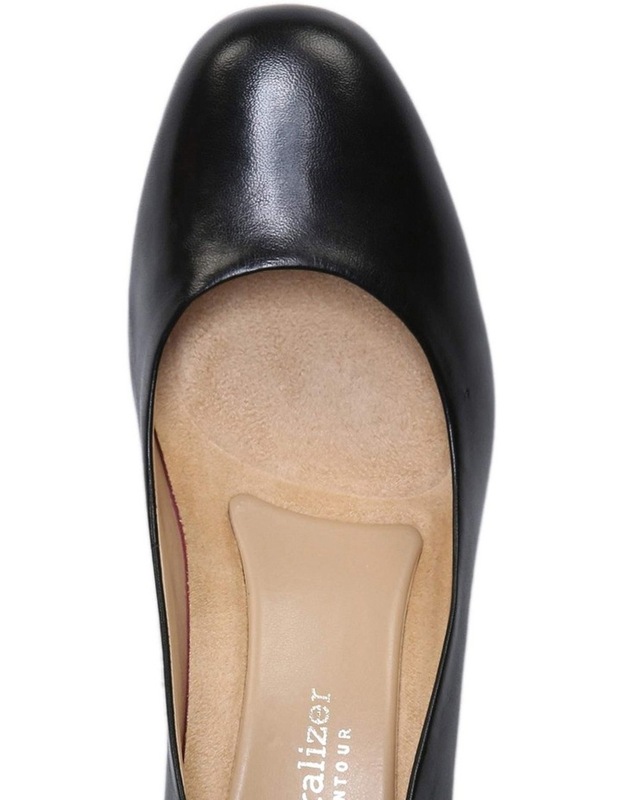 Leather, suede or fabric upper, Round toe, N5 Contour technology, Non-slip outsole for stability, 2 1/2 inch block heel.